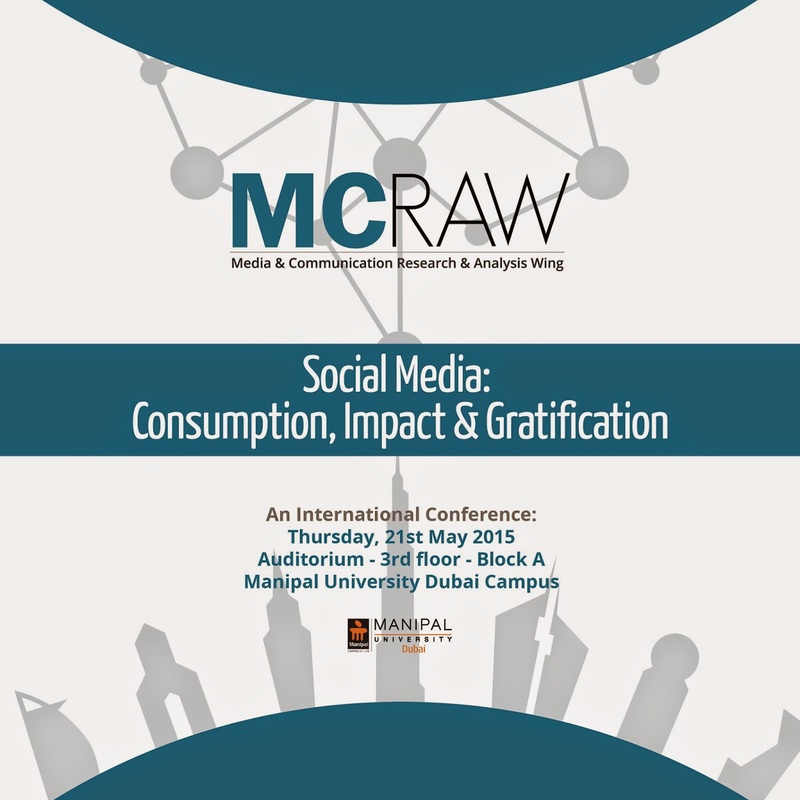 The School of Media & Communication, Manipal University Dubai is organizing its first international research conference, themed “Social Media: Consumption, Impact & Gratification,”on 21st May 2015. 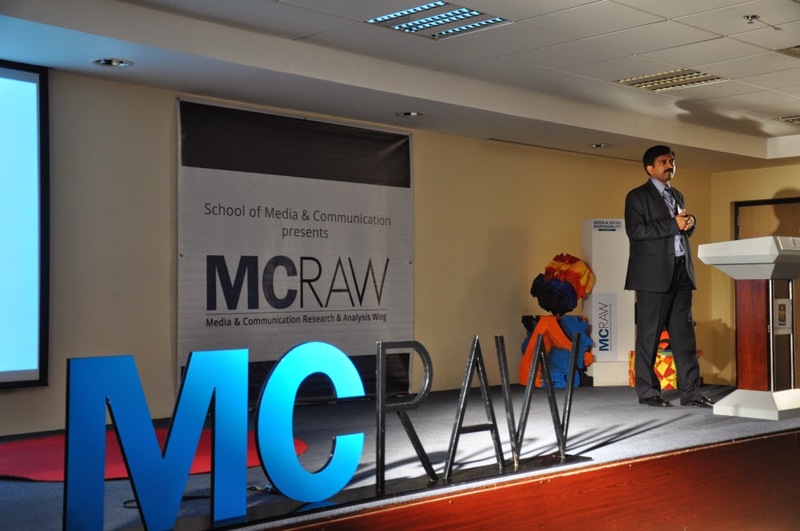 The conference organized by the Media & Communication Research & Analysis Wing (MCRAW), established in 2012, offers an opportunity for academics to discuss new concepts, progressive methodologies, embryonic approaches and innovative practices within the world of media and the wider social environment. MCRAW seeks to create a platform for student researchers and experts from different walks of life to foster academic discourse, share ideas, strategies, critique and explore themes of relevance to the research community. “The School is preparing well for this event. We have a research and organizing committee who are working very hard to ensure that the whole process runs smoothly,” said Dr. R.N. Shukul, Chairperson & Professor, School of Media & Communication. “Since, our hyper-connected lives have been rewired for the digital age, not only is the theme of the conference highly appropriate in the wider context of this region but it will also be an effective platform to explore how the Internet and social media are shaping our relationships, personal lives and sense of self. Moreover, the subjects of the conference naturally reflect the types of subjects we teach and research here at Manipal University Dubai.” said Dr. R.N. Shukul. With every technological innovation and advancement, media grows in its reach, power and influence. blurring boundaries between users and consumers. Social media has infused itself in the lives of every young person in the developed world today. The way we communicate has also changed dramatically moving further away from face-to-face communication. The conference theme is designed to inspire invitations of submissions that approach these topics from a variety of perspectives and approaches. Registrations are open to academics, industry leaders, young researchers and students. For more detailed information on the Conference program, submission guidelines and registration fees are available on www.mcrawdubai.com. The conference is open to potential sponsor partnerships, interested organizations, please contact us mcraw@manipaldubai.com. Do follow us on our social media outlets for regular updates!